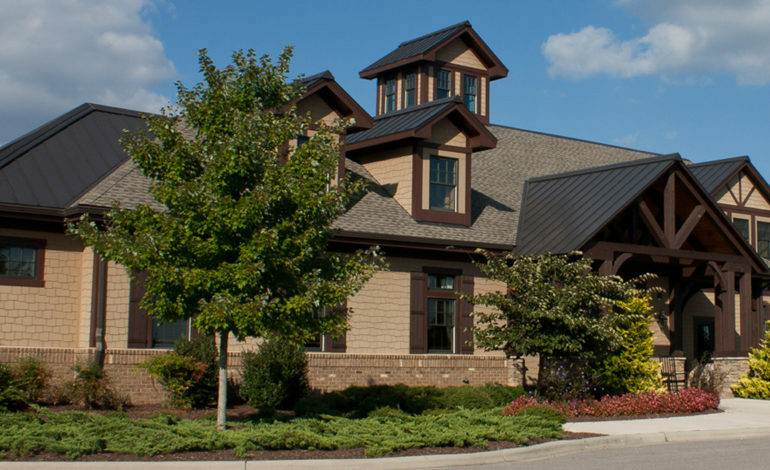 One of the most popular places to live in North Carolina, Highland Creek, is a community that provides an abundance of amenities, pools, parks, golf, tennis, walking trails, clubhouses, activities and a neighborhood school. McAdams provided master planning, a master stormwater plan, permitting, site engineering, surveying, construction observation and certifications to make this project a reality. The site layout was carefully designed to minimize impacts of numerous buffers and wetlands throughout meeting Nationwide Permit qualifications. This allowed our client to avoid the requirement to apply for an individual permit for each impacted area, resulting in a significant savings in time and expense. Phase 1 included two commercial outparcels located along US Highway 401 that were not to be included in the site’s overall plan approval. This presented a unique challenge considering that no property line had been established to delineate the commercial tracts. 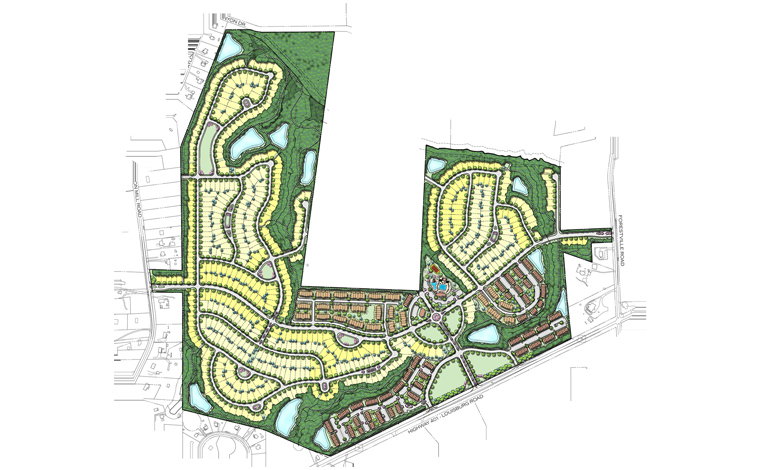 However, McAdams was able to deliver plans quickly and rapidly respond to comments from municipal reviews achieving administrative approval of the preliminary subdivision plans in an unheard of seven months. Phase 1 construction drawings were approved in just six months, allowing our client to begin construction on schedule. Phase 1 included a public sanitary sewer pump station and due to regulation changes that occurred in the middle of project approval process, McAdams designers needed to quickly revise the site plan to identify an additional discharge point, along with the associated route and pump station revisions. We were able to successfully design a cost effective route and negotiate with the City of Raleigh to receive approval on the new discharge location.